The world's first FDA registered cordless electronic chiropractic adjusting instrument, the Activator V produces the thrust at the touch of a button. This lightweight instrument uses a new force wave that is totally comfortable to patients of all ages. It has multiple force settings which can be changed at the touch of a button, using the hand that is holding the instrument. Activator V is designed and developed by Activator Methods International Ltd., one of the world's leading instrument adjusting techniques. In a survey of more than 100 Activator Proficiency Rated doctors, their weekly average of patients served was 147 approximately one-third more than the average practitioner. The Activator V is ergonomically designed to keep your wrist in a neutral position. Additionally, this instrument comes with battery power that lasts all day, allowing you to see more patients without waiting to recharge the instrument. At the end of the day, you can recharge a completely depleted battery in two hours. Manufactured with the finest materials, backed by research and supported by clinical trials, the Activator V comes complete with charging station, power adapter and power pack. Activator Methods International has been providing chiropractic care, resources and training since 1967. Founded on the principles of clinical research, the company's major contribution to chiropractic care is discovery and development of one of the world's most popular instrument adjusting techniques, The Activator Method. The Modpod , new from medical device company Hollywog®, is one of the few advancements in clinical cervical distraction in decades. Modpod is among the first portable, clinical, battery powered devices offering intermittent and static treatments. Treat your cervical patients anywhere without a dedicated room or scheduling conflicts. Modpod's adjustable treatment options give you the power to deliver the same high-quality cervical treatments you expect from your full spine system at a fraction of the cost. New research supports the use of "mechanical intermittent distraction." Modpod delivers repeatable clinical treatments and the ability to store favorite protocols for quick recall. Patients and healthcare professionals alike demand high quality and innovation from the medical device industry. Much like Hollywog's multiple-award-winning WiTouch line of remote controlled TENS devices for back pain, Modpod is the latest innovation to be launched by Hollywog. Located in Chattanooga, Tennessee, Hollywog is a global award-winning medical device company with distribution companies and suppliers established in over 20 countries. Their executive management team has over 100 years of industry-specific experience, with extensive worldwide contacts in distribution, sourcing, product development and regulatory compliance. When it comes to reliably and comfortably delivering high-velocity, low-amplitude thrusting, IMPAC's ArthroStim is the choice of many chiropractors worldwide. ArthroStim is designed to accommodate the demands of today's sophisticated instrument adjusting techniques. With IMPAC, chiropractors can choose from more than 20 techniques developed by professionals whom William H. Koch, D.C., refers to as "chiropractic technique masters." Over the past 30 years, IMPAC has built and nurtured its partnership with the chiropractic community by being responsive, innovative and supportive of the needs of the individual practitioner. Attention to engineering detail becomes apparent the first time you hold an ArthroStim or VibraCussor instrument. The ergonomic considerations and "build quality" are readily evident. When you buy an IMPAC instrument, you are making an investment in quality, versatility and durability. Moreover, your investment is backed by a 90-day satisfaction guarantee and a 4-year comprehensive parts and service warranty. For the experienced professional considering instrument adjusting for the first time, IMPAC offers instrument dynamics designed to become an integral part of your practice. The floating stylus and spring balanced recoil mechanism allow a more intuitive approach to deriving the most benefit with the least amount of effort, and the most comfort. A leading innovator and manufacturer of high quality instruments for the chiropractic profession, IMPAC also serves as a resource for seminars, videos and other educational materials related to their ArthroStim and VibraCussor instruments. Call or visit their website for more information. You may be just starting to use instruments in your practice, or you may be a seasoned practitioner looking for new ways to extend the advantages your instruments offer. Either way, the information on IMPAC'S Technique Institute™ site can help you stimulate practice growth. Technique Institute provides educational products from doctors who specialize in instrument-assisted procedures; most of these instructors have been using instruments in their practices for more than 20 years, and many have made significant contributions to their field. And like most practitioners, they were trained in conventional techniques and many of them used "hands-only" methods for years. Then, somewhere along the way, they discovered they could produce results more quickly and easily by using certain instruments...in specific ways. Technique Institute's site features popular training seminars, DVDs, and manuals from an illustrious group of doctors including Dr. Allan Oolo Austin, Dr. Deed Harrison, Dr. Tedd Koren, Dr. Brian Solofsky and Dr. Ric Wiegand, to name just a few who offer distinctive insights and knowledge assembled from years of experience, information that will provide you with many new ideas on how instruments can be used. To view sample DVDs, click the "INSTRUCTORS" tab at the top of the website. 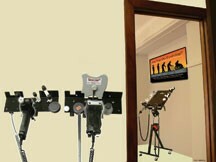 A gold DVD icon indicates the instructor has a video sample on their personal page; click their picture to view their particulars as well as video samples. IMPAC's mobile WorkStation provides an attractive, professional-grade system capable of holding both the ArthroStim and VibraCussor instruments and their heads and adaptors. The instruments plug into a protected power-surge strip, discreetly located on the underside of the 12" by 16" tabletop. Mounted on 4 omni-directional casters, the WorkStation requires only 17" by 18" of floor space. The tabletop/platform can be raised or lowered, between 29" and 46", to accommodate personal preferences. The mobile WorkStation enables practitioners to maintain fingertip accessibility so they can conveniently deliver high-quality patient care without incurring unnecessary wear and tear on their own bodies. IMPAC has been a leading innovator and manufacturer of high quality chiropractic instruments for nearly 30 years. To ensure rigorous quality control and availability, the company designs and manufactures their instruments onsite; they also provide custom manufacturing services to enhance a specific technique approach. IMPAC also serves as a resource for seminars, videos and other educational materials related to their ArthroStim and VibraCussor instruments. Neuromechanical Innovations (NMI) manufactures the Impulse® and Impulse iQ® Adjusting Instruments which are currently in use in over 7,000 chiropractic offices in every state in the USA, all Canadian provinces, all Australian states, and in 46 countries worldwide. The Impulse iQ Adjusting Instrument features unique functionality and performance, with patented Auto-Sense® technology that senses when mobility is maximized ceasing the adjustment, and provides feedback of the patient's response to the adjustment. 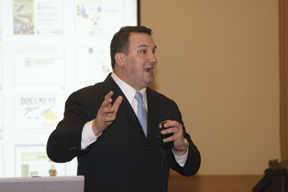 Marking his 20th year in providing postgraduate training to chiropractors, and with NMI's senior instructors teaching even longer, CEO and Founder Dr. Chris Colloca said "What an incredible journey it has been. I've had the privilege of traveling over 200,000 miles each year and teaching on 6 continents, personally training thousands of chiropractors worldwide. During this time, over 10,000 chiropractors have adopted our Impulse Instruments and Impulse Adjusting Technique® into their practices. This equates conservatively to 1.25 million adjustments being given every week and about 800 million Impulse adjustments being given annually to suffering humanity. Thanks to chiropractors like you, we're on our way to our goal of 1 billion adjustments being delivered per year with our Impulse Instruments." Dr. Colloca goes on to point out that, each year at their Impulse Adjusting System® courses, Neuromechanical Innovations has updated their curriculum, adding new technique strategies and studies for reference. They have added pediatric protocols, new combination adjustments, updated research and clinical protocols specializing in spine and extremity rehabilitation. New for 2015, their Dynamic Functional Rehabilitation module focuses on high intensity interval training for strength and endurance, bone health, and fall prevention. From the comfort of your home or office, and at your own pace, earn up to 25 CE hours with the new scientifically proven Dynadjust Spinal Manipulation Training System. Utilizing the powerful new Dynadjust electro-mechanical training instrument and the OrthoNeuro Technologies On-Line Service Center, the Dynadjust System is an instrumented physical training regimen designed especially for chiropractors. 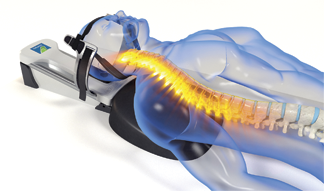 The Dynadjust System incorporates sophisticated electro-mechanical motion and force sensing technology to provide accurate physical simulation of HVLA spinal and extremity manipulation procedures. This ergonomically designed instrument electronically measures every parameter of the actual dynamics of the HVLA thrust. The Dynadjust System offers the benefits of increased power, speed, accuracy and endurance. This proven system delivers tangible physical results for the crucial psychomotor skills needed for safe, comfortable and effective HVLA procedures. Results are immediate and verifiable, with instantaneous objective feedback of every exercise. Professional-level skill can and should be enhanced and maintained through deliberate focus and refinement. Extensive independently conducted and published research indicates that training with the proper equipment can dramatically increase a practitionerís ability to treat patients more comfortably, with far less physical fatigue, and to deliver more precise HVLA adjustments than ever before. And Dynadjust courses are fast-paced, fun and efficient. 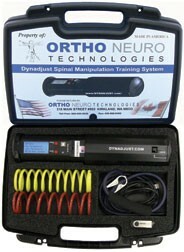 For more information, visit www.Dynadjust.com, call Chief Technology Officer Kevin P. Leathers DC at 425-260-0657, or email Dr. Leathers at kleathers@Ortho-Neuro.com. Sense Technology has been producing advanced adjusting instruments in the chiropractic field for over 25 years. Their latest innovation is the PulStar G3. This Spinal Analysis and Adjusting system allows the clinician to easily see where the problem is and how best to treat it. Sense Technology offers adjusting instruments from the top of the line PulStar™ G3 Systems, which allow doctors to not only analyze the spine and peripheral joints but also adjust them with the same system, to systems that allow doctors to focus on the analysis or adjustment only. For those doctors interested in using just the adjust portion of the system, they are unveiling the PulStar Perfect Touch™. The Perfect Touch allows the doctor to use several different unique ways to treat their patients while keeping their existing analysis techniques to find the problems. From the auto-rate technology to the myofascial for great soft tissue work, the Perfect Touch can handle it all. The PulStar Perfect Touch can be updated for a prone analysis as well. This brand new system is self-contained in a small package with a 7 inch touch screen. The Perfect Touch allows you to offer the latest technology available to those patients who are looking for it today. Whatever the objectives of the doctor or the current budget requirements, Sense Technology strives to design and of-fer the best solutions available. Join Sense Technology as they continue to revolutionize the chiropractic profession. The PulStar comes with a marketing manual as well as a CD full of information to use to help promote the PulStar inside and outside of your office. If you have any questions feel free to call them or browse the website.